The most popular of the products, this exfoliates, tones, brightens and moisturizes for glowing, rejuvenated skin. Use this in the morning and night to promote a natural exfoliating process and maintain the skins PH. Recommended for skin types with pigmentation and dark spots. 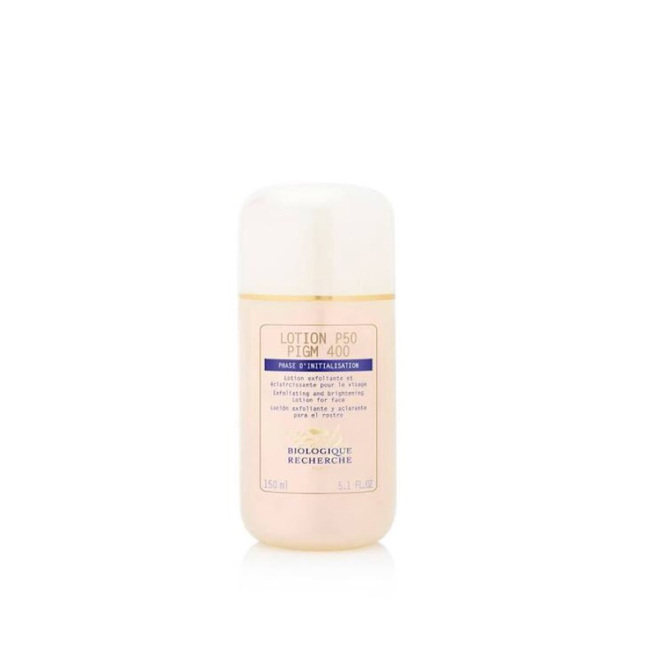 Lotion P50 PIGM 400 is an unifying lotion that is ideal for dull complexions. The first week, soak a cotton pad moistened with water with Lotion P50 PIGM 400 and apply to the face, neck and cleavage, patting upward gently without rubbing. The following days, soak a dry cotton pad with Lotion P50 PIGM 400.